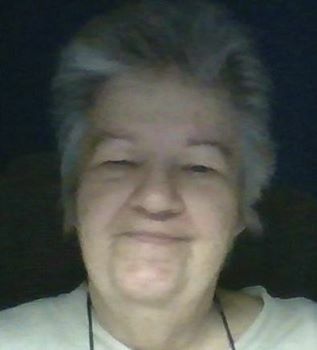 I am a christian, & a 74 year old retired widow. I have just been diagnosed with Myelodysplastic Syndromes (MDS) a bone marrow decease & Myelofibrosis (MF) blood cancer. Fever blisters and shingles are both of the Herpes family but they are not the same. I hope you never shingles. If you don't mind spending $18. for a tube of toothpaste Amazon has Silver Toothpaste. It doesn't burn your mouth and it acts to disinfect. I have just been diagnosed with Myelodysplastic Syndromes ( MDS-a bone marrow decease) & Myelofibrosis (MF-blood cancer). I am doing a lot of research and trying to learn also. Have you checked out Voices of MPN? They will send you several FREE books. They are also holding a LIVE WEBINAR on Wednesday 3/27. Register at 919-256-2479. Hope this information helps. I am 74 years old and have had BMS for several years. I was told this by a dermatologist. He was the only one to find this. Saw primary, ENT, Dentist. Not one of them found this until he did, then they all acted like they knew what I was talking about. I have had shingles (without the blisters) 3 times. I get fever blisters often. Had dentures that I can't wear because my throat started to close one day and my mouth wouldn't work, I couldn't talk at all. None of the doctors could explain this but they say don't wear the dentures, so I have no teeth. Several years ago I found a mouth wash at Walgreens that contained peroxide. It seemed to help but they quite carrying it. I found it once online at $12. a bottle. Now I can't find it and I can't remember the name.I'll try again. Once when I had a mouth and nose full of fever blisters a friend told me about taking large doses of L-Lysine (3,000 units daily) Now when my mouth starts burning and I see the start of fever blisters I start taking L-Lysine immediately and it knocks it right out. My primary care doctor has also given me Famciclovir 500 MG.an antiviral It seems to help too. This is for the Herpes virus but it seems to stop the burning of my mouth which can be more the virus. I have not had the pain problems that most of you talk about. I will pray for you all. God Bless.